The House of Representatives has adopted the report of its Committee on Public Petition, chaired led by Hon. Nkem Uzoma Abonta, directing construction giant, Julius Berger Plc to obey a court order which mandated it to pay the sum of N422.4 million debt to Toki Rainbow Microfinance Bank. Already, the Clerk of the National Assembly, Mr. Mohammed Sani-Omolori, has communicated the lawmakers’ position to the management of the construction company. The Chairman, Toki Rainbow MFB, Mr. Richard Samuel, had in a petition to the House, dated March 3, 2017, claimed that the bank had advanced the loan facility to the construction firm in March 1997 for the purpose of working capital financing. He said contrary to the terms of the loan agreement, Julius Berger refused to offset its obligation to the financial institution. He said: “Consequently, the matter was taken before the High Court in Rivers State where a judgment was delivered in our favour on the 2nd of December, 2003 asking Julius Berger to settle their debt to us. 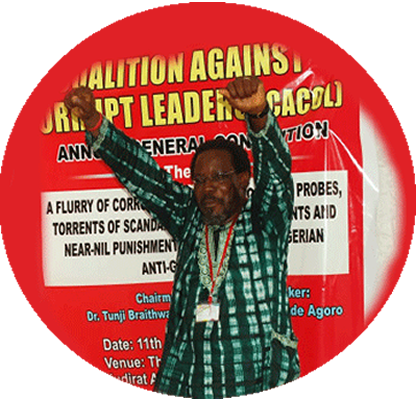 Meanwhile, the Centre for Anti-Corruption and Open Leadership (CACOL) has petitioned the Speaker of the House of Representatives, Hon. Yakubu Dogara over an alleged corruption and abuse of office by the Director General, Securities and Exchange Commission (SEC), Mr. Mounir Gwarzo. He is accused for among other things, of ordering the payment of N104.85 million severance package for himself after he was elevated to the position of Director General of the commission on May 2015 from Executive Commissioner. Executive Chairman of CACOL, Mr. Debo Adeniran, said Gwarzo’s action was in total disregard of standing rule in the civil service which stipulates that severance benefit can only be paid to an employee who has concluded his or her service and has completely disengaged from service and not to an employee who has been promoted within the commission as in the case of the incumbent DG.